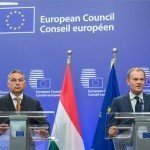 The European Union has a new proposal on migration which is against Hungary’s interests because it is still centred around the mandatory relocation of migrants across the bloc, Prime Minister Viktor Orbán said after talks with Boyko Borisov, his Bulgarian counterpart, in Sofia on Monday. The number of migrants to be taken in by member states under a mandatory resettlement scheme keeps growing, Orbán told a press conference. Under the most recent proposal, Hungary would have to take in 10,000 people a year rather than the 1,000 that was to be allocated to the country originally, he argued. Orbán said it looked like the EU was proposing a resettlement quota scheme without an upper limit. The debate around mandatory quotas encourages migration, Orbán insisted, adding that migration poses a threat to Europe’s public safety, welfare and Christian culture. He said Hungary has prepared its own proposal that is focused on the protection of the EU’s external borders rather than the distribution of migrants. There is no point in talking about the distribution of migrants until the EU can guarantee the protection of its borders, Orbán said. He said Hungary’s constitution makes it clear that only elected and authorised individuals or organisations can decide who can reside and live in Hungary. Orbán said Europe should demonstrate solidarity not by distributing migrants across the bloc but by protecting the external borders. 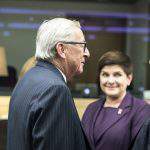 He said Hungary’s proposal requires all member states to fulfill their obligations to protect their borders. If a country is incapable of or unwilling to fulfill this obligation, the Schengen area’s “line of defence” should be “moved back by one country”; to one that is willing and able to keep migrants out. Hungary’s position on the issue of migration has not changed, Orbán said. 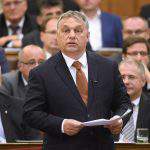 The situation is tough in many parts of the world, but Hungary believes that those in need of help should receive support in or around their homelands rather than “bringing trouble over here”, the prime minister said. He praised Bulgaria’s efforts to protect its external borders, by which he said the country had also protected Hungary. 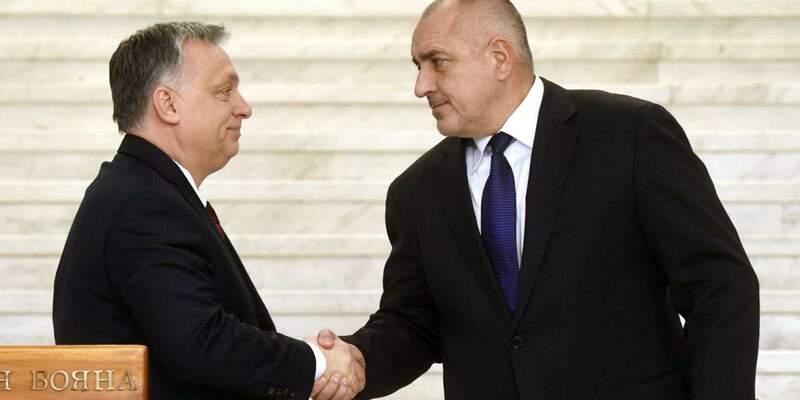 Orbán said he had congratulated Borisov on how Bulgaria has shaped its relations with Turkey. Borders must be protected but these arrangements also have to be laid down in agreements, Orbán said, vowing that Hungary would always support the Bulgarian-Turkish border protection deal. On another subject, Orbán said the Bulgarian EU presidency was facing a historic task because the European Union has a chance to take a decisive step towards the integration of the Balkan region. He hailed the decision to hold a conference on the Balkan region in Bulgaria in May. He said this conference would have to be the occasion for the EU to make a final decision on enlargement, mainly with the addition of Montenegro and Serbia to the bloc. Orbán added that the conference should also decide on some major projects. The Balkan’s political integration into the EU is not enough, Orbán said. 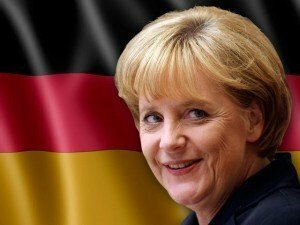 The region will have to be “connected” with the EU as well. If there are no railways, high-speed rail links, roads or motorways then a political declaration will not connect the Balkans to the “EU’s economic body”, he said. 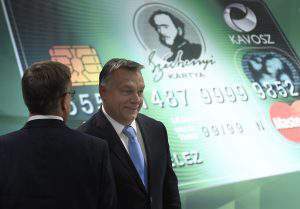 “But this is what we all need,” Orbán added. Bulgaria is an EU member but is not part of the Schengen zone, even though it should be, he said. But there are several countries between Hungary and Bulgaria that are not even members of the EU but want to be and should be, he said. Orbán described Hungary and Bulgaria’s relationship as a “friendly and heartfelt” one free of conflicts. The two countries have shared history and faced similar challenges both in the distant past and after the second world war, he said. Orbán expressed hope that Hungary and Bulgaria can continue to intensify their political and economic relations. Hungary wants to contribute to Bulgaria’s development and is also making an effort to attract Bulgarian businesses and investors, he said. Borisov said the solution to Europe’s migration crisis lay in stronger protections on the continent’s borders and the establishment of hot spots in conflict zones for registering asylum seekers. Once the conflicts in migrants’ countries of origin end, they will have to return to their homelands and rebuild them, Borisov added. He said Bulgaria will review Hungary’s migration proposal. Well said Messrs Orbán & Borisov. Each nation is entitled to decide who lives there & who doesn’t. One does not simply empty entire continents into others just because rather than stay to build their nations, people prefer to migrate to other countries. Then set about to change the culture, custom, religion & even laws to suit themselves. Going by the attitudes of said refugees, we should all be able to pack up & ask for entry into another country if we don’t like it where we are. But try entering the middle east or Africa without permission & see what happens. Never mind making demands that they accommodate your cultural & religious needs.